My parents’ separation would have been less upsetting for everyone if my parents had known about mediation. 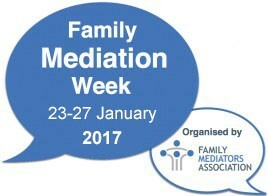 Ruth Smallacombe describes her role and approach to Family Mediation. Sue Atkins decsribes helping a couple who are divorcing to handle the new roles that both these parents now face whilst going through the transition. Today’s theme is ‘A Safer Space’, looking not only at the safe space we offer in the mediation room, but also the safer space that home can become once the conflict is resolved. Our video today was created in partnership with charity Voices in the Middle, and features a poem based on lines contributed by young people describing what it feels like to be shouted at. if you would like to connect with them. A client gives their view on mediation and how irt affected them as a child when her own parents separated and as an adult when she separartted from her partner. The link on the left will take you to the original blog.